Hello, I’m Keith Rhys. For nearly thirty years I’ve worked exclusively with health practitioners like you who are serious about creating lasting impact with their expertise. 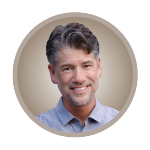 Evergreen Authority is the course I created covering the exact principles, strategies, and tools that scores of leading health practitioners have followed to create lasting impact and authority in their own expertise niches. The next session begins soon.